Land of forests, lakes, state of the art cities, and historic towns, Germany is a Schengen country like no other. Visitors come every year to enjoy the magnitude of things to do and see and, in the process, they find their own piece of German heaven. 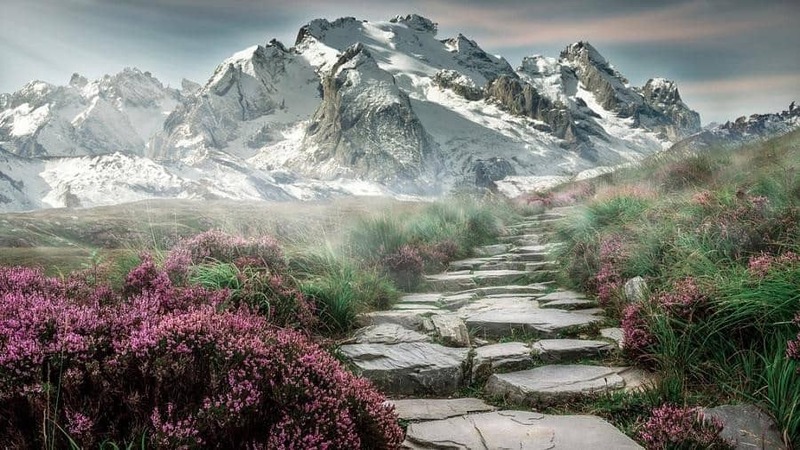 Whether that’s hiking, socializing with new friends, shopping, eating or exploring, you can be sure that you’ll have an exciting, not to mention, memorable time. 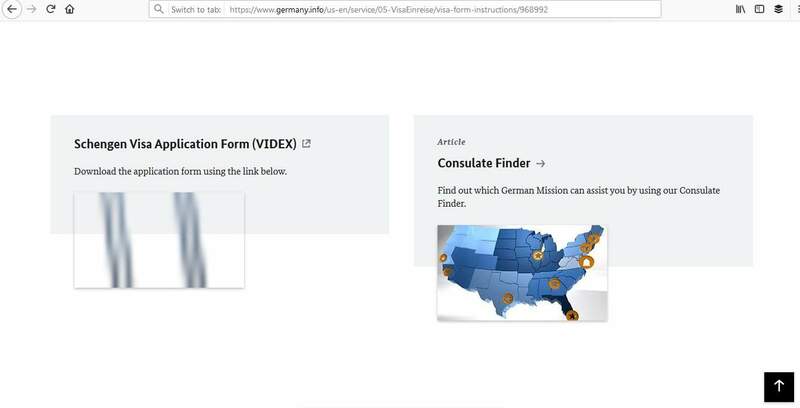 In this article learn more about how to apply for Germany Visa at the German consulate in Atlanta, Georgia, Germany visa appointment booking, Processing time at the German visa application center and German Visa Application Process at the Atlanta consulate. 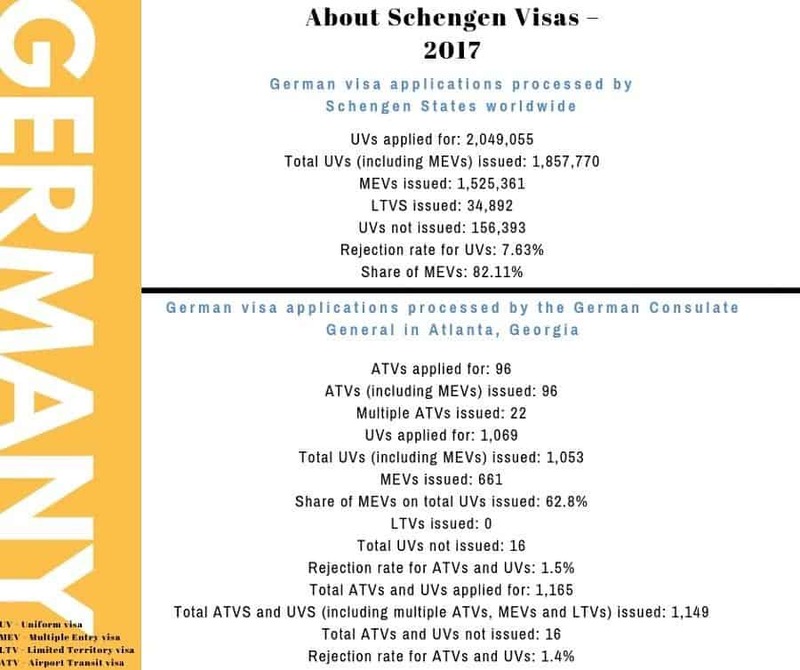 Throughout 2017, there were 2,049,055 German visa applications received at consulates across the globe with a 7.63% rejection rate. 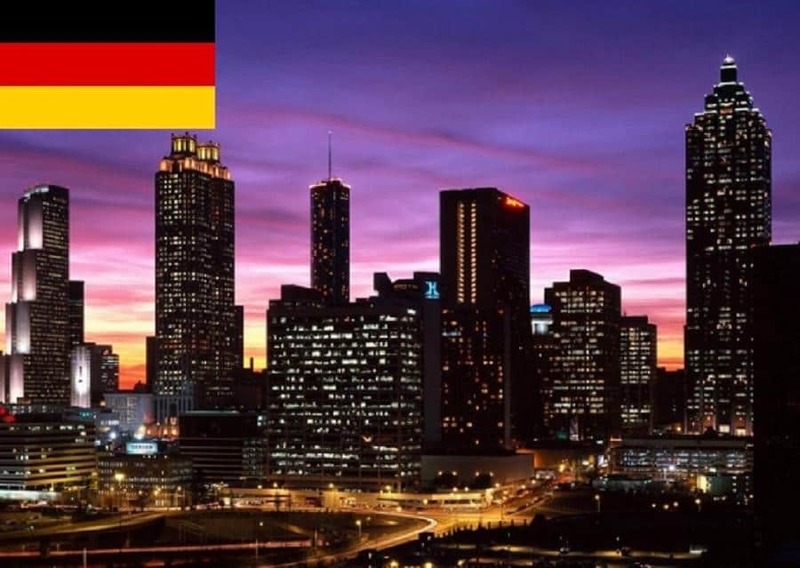 The German consulate in Atlanta issued 1,149 German visas out of the 1,165 applications received. 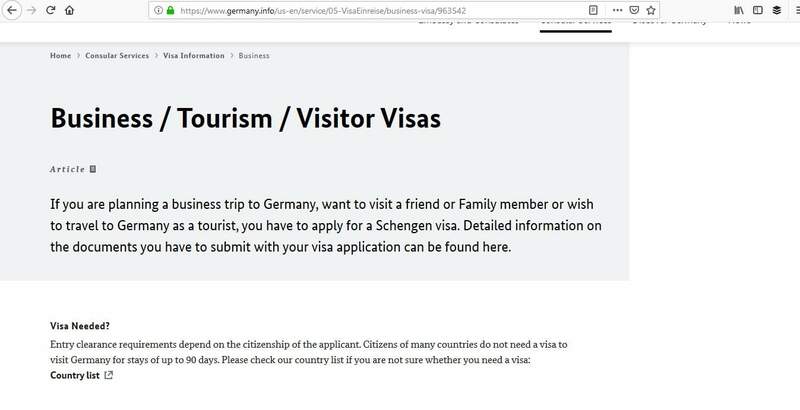 You must apply for a German Schengen visa if you are not a citizen of the United States, but you are living there on a permanent basis. However, if you have a B1 or B2 visa, you cannot apply for any type of visa other than an Airport Transit visa and you must do this in the country where you were born. 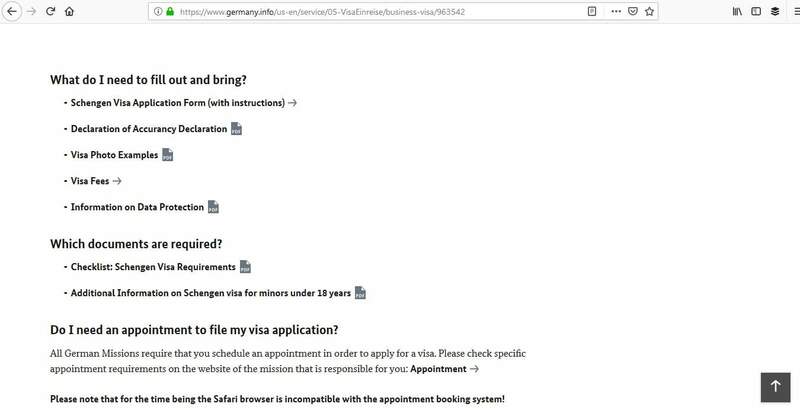 First of all, you have to make sure you apply at the right German embassy and consulate. 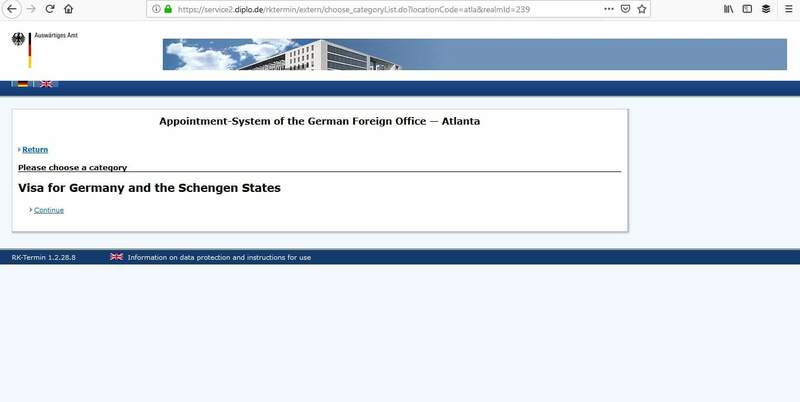 If you live in Alabama, Georgia, Mississippi, North Carolina, South Carolina, and Tennessee you can make your visa application at the German Consulate in Atlanta. 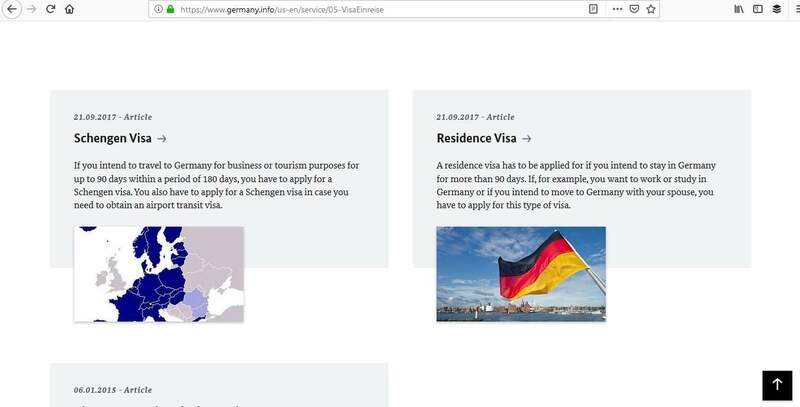 If you’re planning on staying in Germany for up to 90 days, you’ll need to apply for a Schengen visa. For longer stays, over 90 days, you’ll need a Residence visa. It is your responsibility to apply for the right one. If you don’t this could mean that your application will be refused and you’ll need to start the process again. Please check the consulate’s website before you start. You can apply for your Germany Schengen visa from 2 weeks up to 12 weeks prior to your trip. Visa applications will not and cannot be processed in a day, so make sure you apply well in advance. 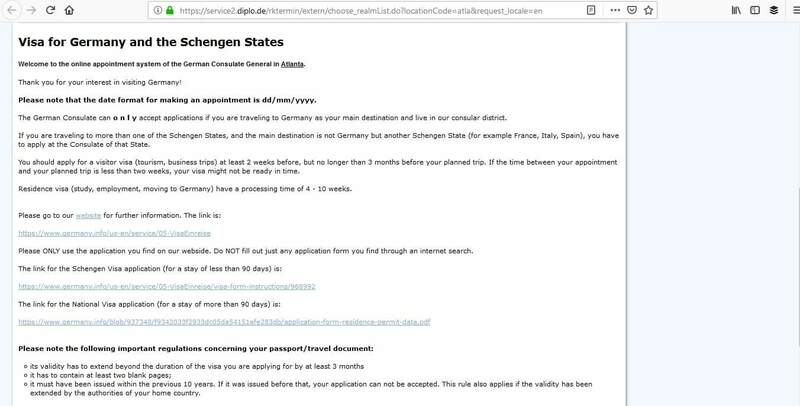 Processing times are around 2 weeks for Schengen visas, but Residence visas can take up to 10 weeks. This step is all done online. It’s simple to do and shouldn’t take too long, but you must make sure you complete everything. First, go to the consulate’s website and choose the visa you want. 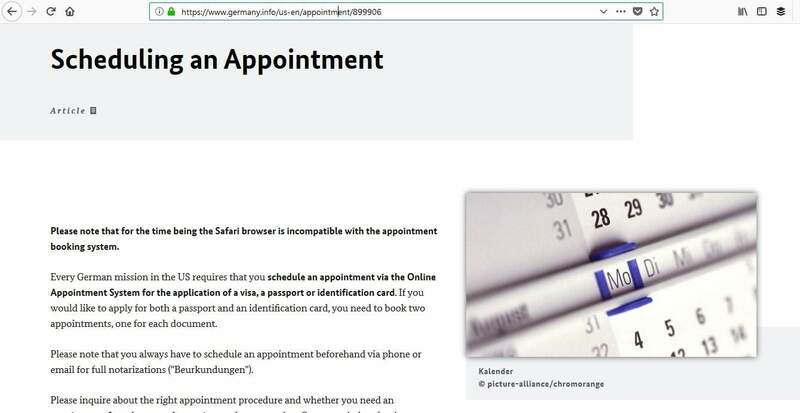 Do I need an appointment to file my visa application? 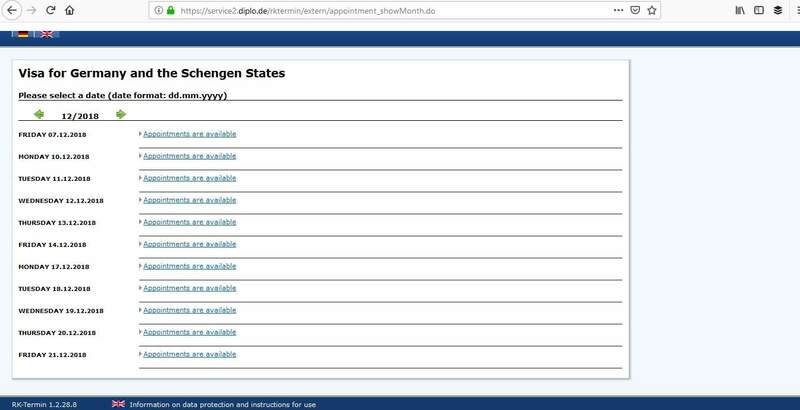 Click on Schengen Visa Application Form (with instructions). 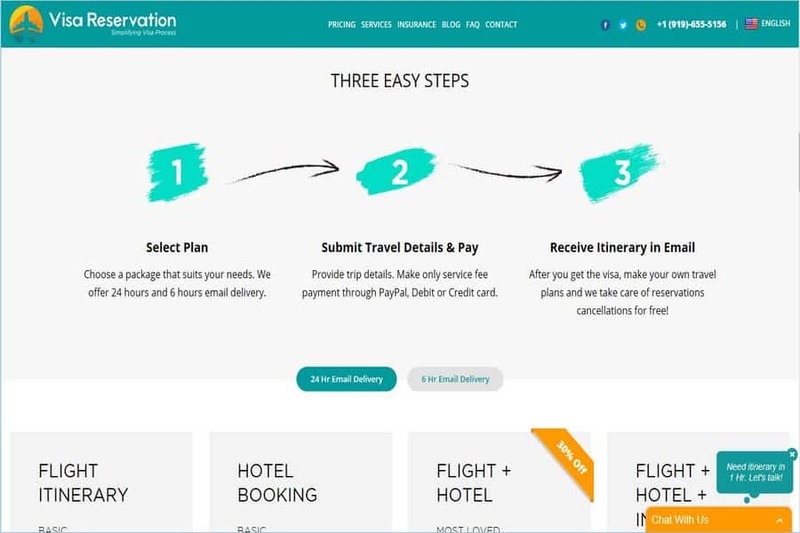 This will take you to the consulate’s booking system. 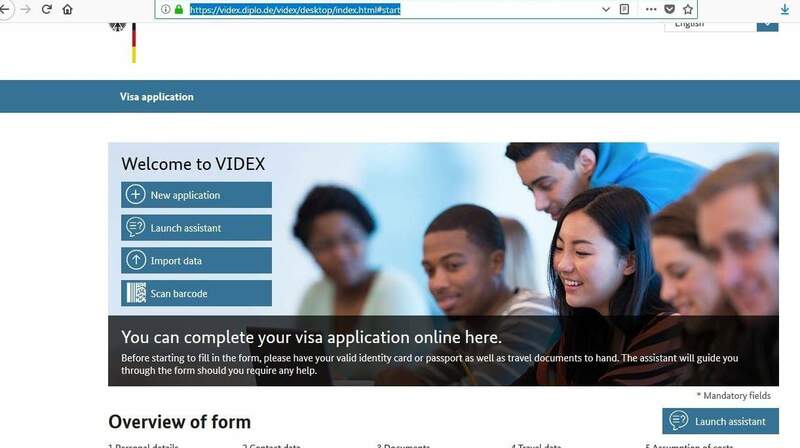 The VIDEX system is only designed for visa applications for up to 90 days. If you are planning a longer trip you must complete a manual application. You can find this on the consulate’s website. Before you start completing the online application, make sure you have the following documents to hand. This way, you can refer to them easily and input the data straight into the system without losing the keyed information. There are helpful on-screen explanations if you need any help completing the application. At the end, don’t forget to print off the application and Residence Act forms, for signing. You’ll also need the VIDEX barcodes. 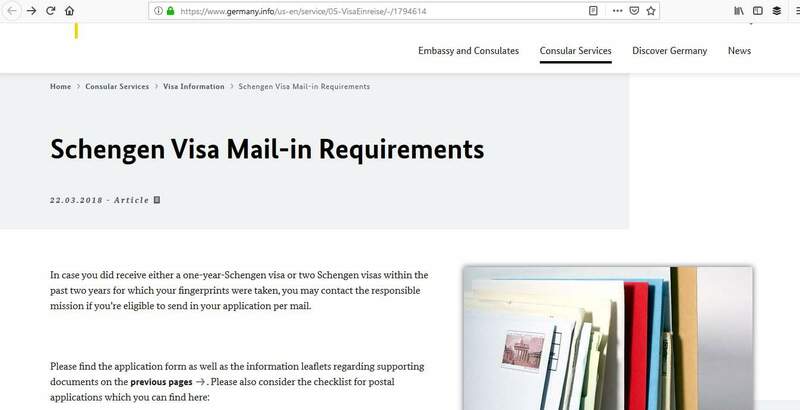 If you have applied for a German Schengen visa in the last 2 years, you can contact the German consulate in Atlanta to see if you are eligible to send your application by mail. Getting your paperwork ready is very important. If you have an incomplete application, the consulate will send you away and this will delay your application. Originals as well as photocopies must be provided. When the day of your appointment arrives, get to the consulate early. Don’t be late as you may miss your appointment and have to reschedule it. Have all your paperwork with you, including what you printed off when making the appointment. It’s also wise to dress appropriately as you will want to convey a good impression. 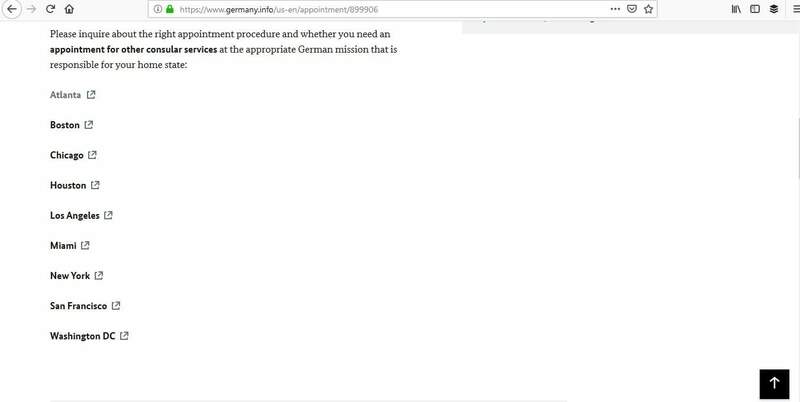 The interview is designed to not only review your paperwork but also for them to decide whether you have genuine reasons for wanting to go to Germany. Have you traveled to Germany or Schengen area before? Do you know anyone that lives there? Answer the questions honestly and give the visa official no doubt as to why you are applying. 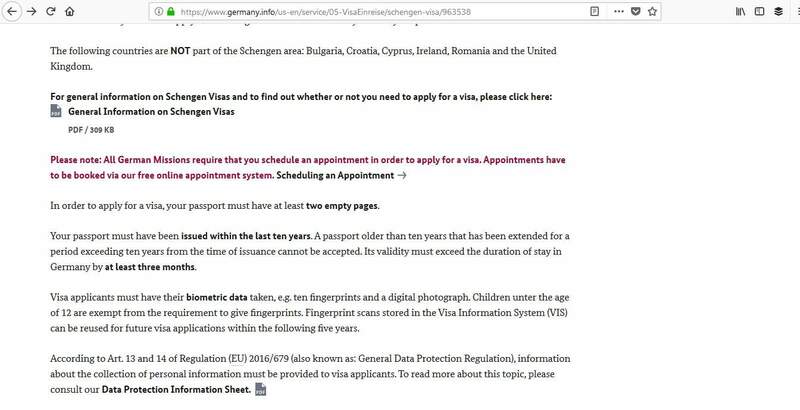 If you have never applied for a Schengen visa before, you’ll also need to provide biometric data which includes a digital photograph and 10 fingerprints. If you have applied within the last 5 years, your data can be reused. In addition, you’ll have to pay the relevant Schengen visa fee. Plus, an additional fee of $25 if you wish to have your passport mailed back to you. You will be notified when your passport is ready and you can make arrangements to return to the consulate to collect it or have it mailed back to you. To ensure your application does not get refused, make sure your documents are in good condition and present all the necessary documents to the consulate. Prepare yourself by checking the consulate’s website for requirements and what you need to do. At the interview, don’t aggravate the official by being overconfident or arrogant– your application can be rejected if the person interviewing you takes offense to your actions. You can also use their contact form. 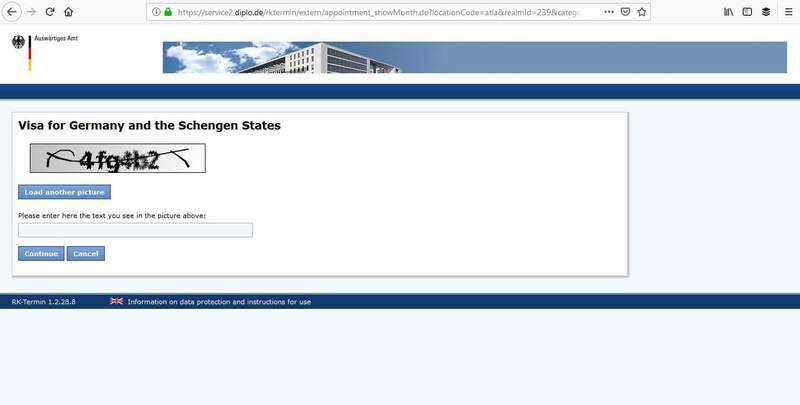 It’s a straightforward process to apply for your German Schengen visa. All you need to do is to complete your online application, get your documents ready, and go to your interview. With any luck, you’ll have a response within a couple of weeks and have your visa in your hand. Then, you can concentrate on the exciting part – get ready for your departure to Germany!